Hi lovelies, I hope you're having a fun week! A few weeks ago, I invited a few of my friends over to dinner. 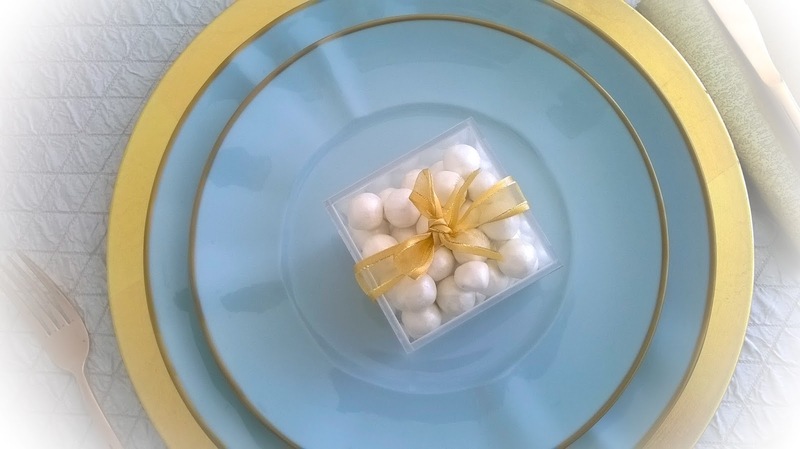 I wanted to set a table that was a little bit different, so I chose a colour combination of duck egg blue and gold. 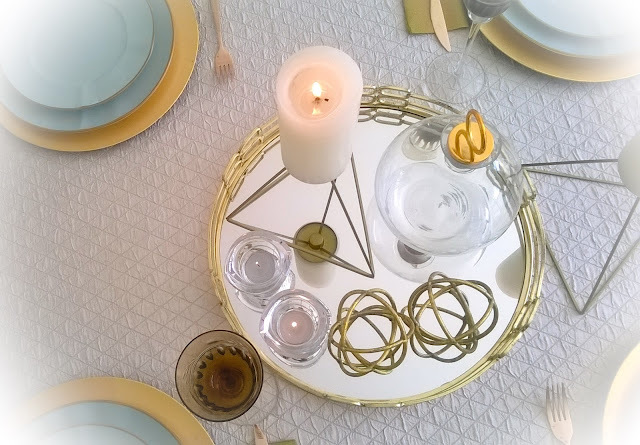 I simply adore gold in table settings! Actually, I love gold in any setting! 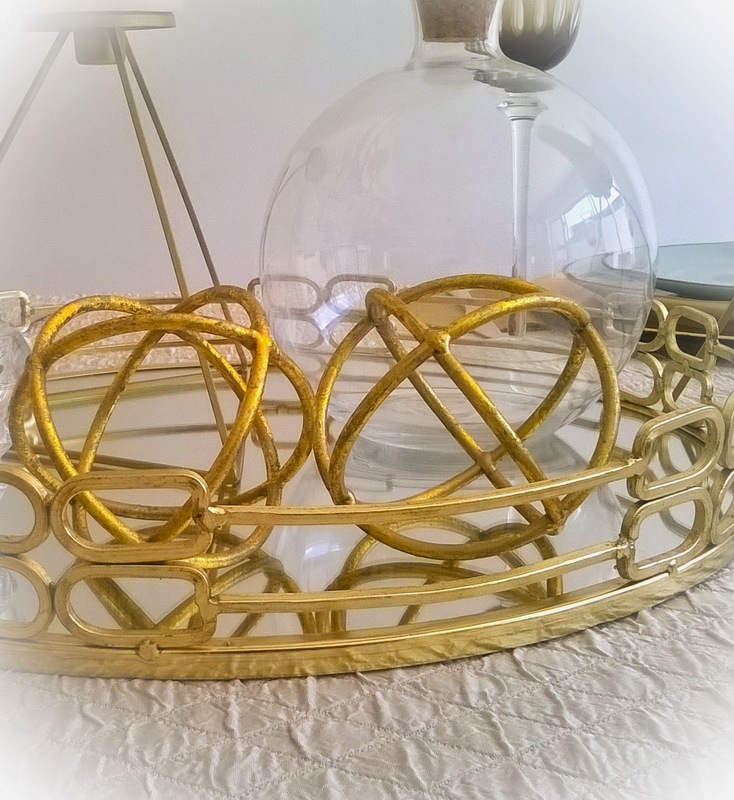 Tables, decor, fashion and of course, jewellery! 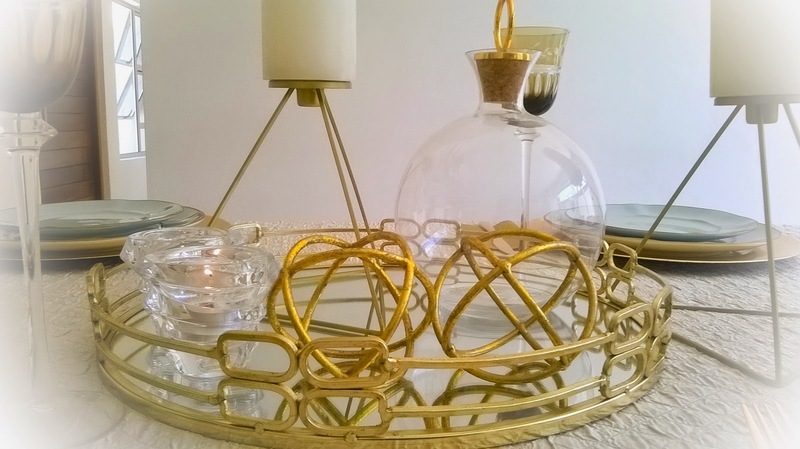 It adds a glam and luxurious feel to any setting . Juxtaposed with duck egg blue, it makes for an interesting combination. I complimented the blue dinnerware with gold chargers. 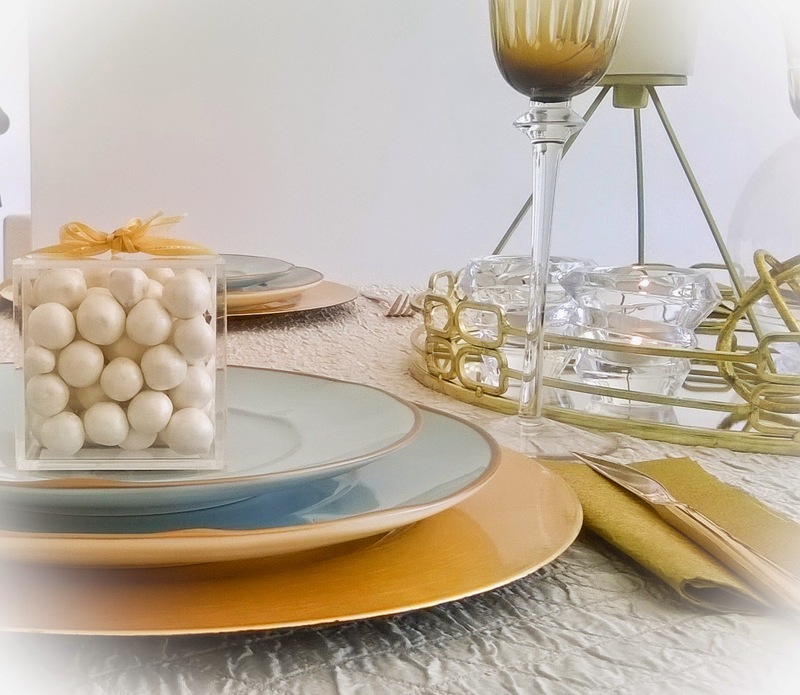 Coloured stem glasses added interest and a mirrored tray filled with candles and objet served as a centrepiece.